Are you both impressed by and jealous of those people who get AMAZING deals on groceries? I mean, there’s gotta be some sort of tricky secret, right? What if I told you that you could easily do this yourself with just one piece of paper? It’s called a Grocery Price List. With a Grocery Price List, you can save money with just a quick glance at your sheet to see if what you’re buying is a good deal. And all it takes is a little time- something you can do while you’re already in the store! First, get familiar with the columns. The first column is the Item Name. The second is the Size of the item- like a 6-ounce cup of yogurt or 32-ounce bottle of creamer. The third column is the Buy Price, which is the regular sale price. And the next column is Stock-Up Price, which is the price where you’ll buy a ton of that item. And the final column is the Unit Price, which I’ll go over in a minute. Whatever you typically buy on a weekly grocery trip should go on this list. 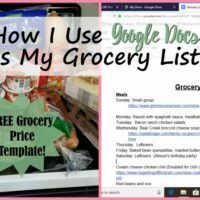 Milk, eggs, and bread don’t usually change much in price; but definitely write down items like salad dressing, yogurt, crackers, canned goods, and coffee creamer. You can write down any produce you buy as well; just keep in mind that most produce is seasonal and you’ll only be able to buy it at a stock-up price when it’s in-season. You don’t usually need to be in-store to find the retail price! If your favorite store has an app, like Meijer or Kroger, open the app and do a search for each item. The price should show up each time. 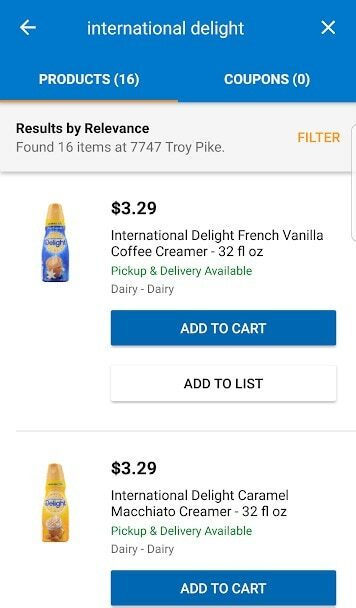 As you can see in the screenshot above, I searched for International Delight creamer in the Kroger app. The retail price is $3.29- if it were currently on sale, the price would be highlighted in yellow. The weekly store ads are great when it comes to checking sale prices. Meijer’s Sunday ad preview comes out on Fridays, and Kroger’s ad preview comes out on Tuesdays (Their sale cycle starts Wednesday here). When you find a sale price that’s lower than the retail price you wrote down, make sure you enter the stock-up price. Also, be aware that you’ll probably need to edit your paper every so often because your items will go on sale even lower than what you’ve written down. That’s a good thing! 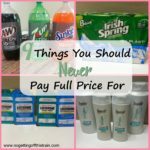 You need to have an updated list so you always know the best price. Sometimes you’ll find two of the same kind of item that are both on sale but are different prices. How can you tell which is the better deal? 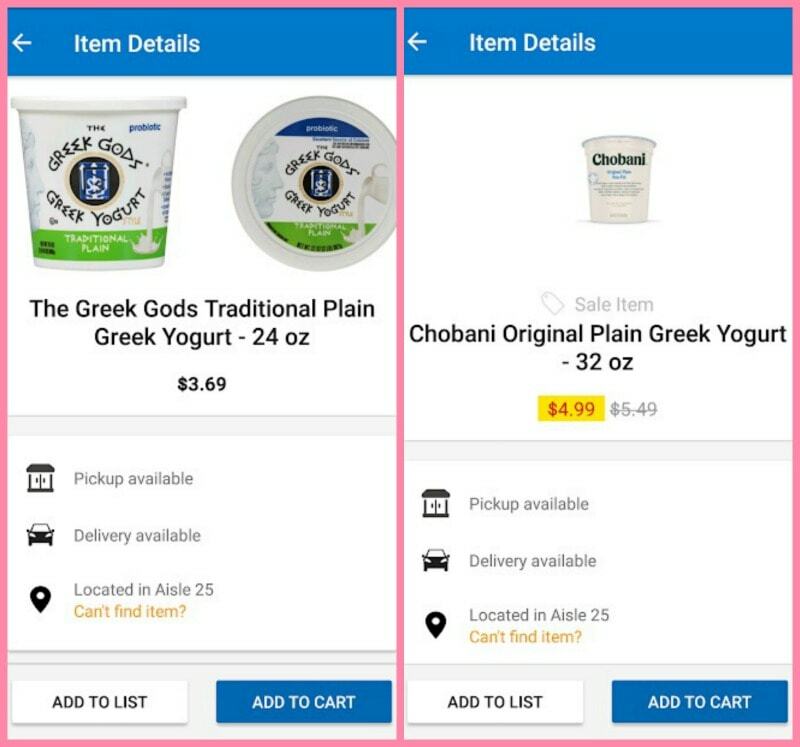 In the above picture, the Greek Gods Greek yogurt is $3.69 and the Chobani brand is $4.99. Is the Greek Gods brand cheaper? So in the case of the Greek Gods brand, $3.69 divided by 24 ounces is 15 cents per ounce. With the Chobani brand, $4.99 divided by 32 ounces is 15 cents per ounce. 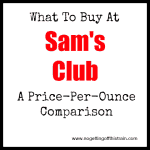 They’re actually the same price per ounce! So in this situation, pick your favorite brand and buy that one instead. You get more with the Chobani even though you pay more, but the price per ounce is the same. That won’t always happen, though! Sometimes the smaller packages will be cheaper on sale than the bigger one that’s not, even though the bigger size should be the better deal because it’s “in bulk”. This is why it’s so important to write down the Size and Unit Price on your sheet when you’re comparing prices, because you truly won’t know what’s a good deal unless you have those on paper. Are you ready to start saving money and get smart about what you buy? 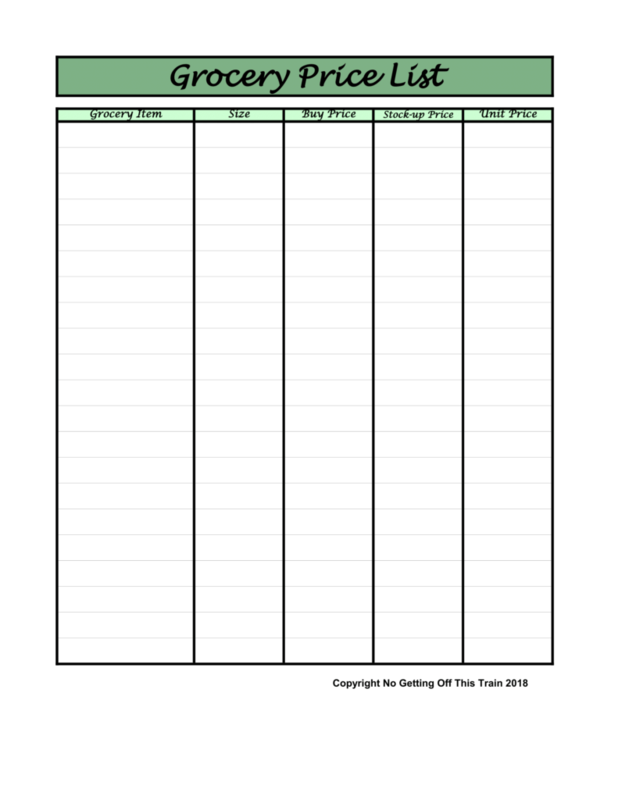 Download your FREE Grocery Price List sheet by clicking the image below. My gift to you! 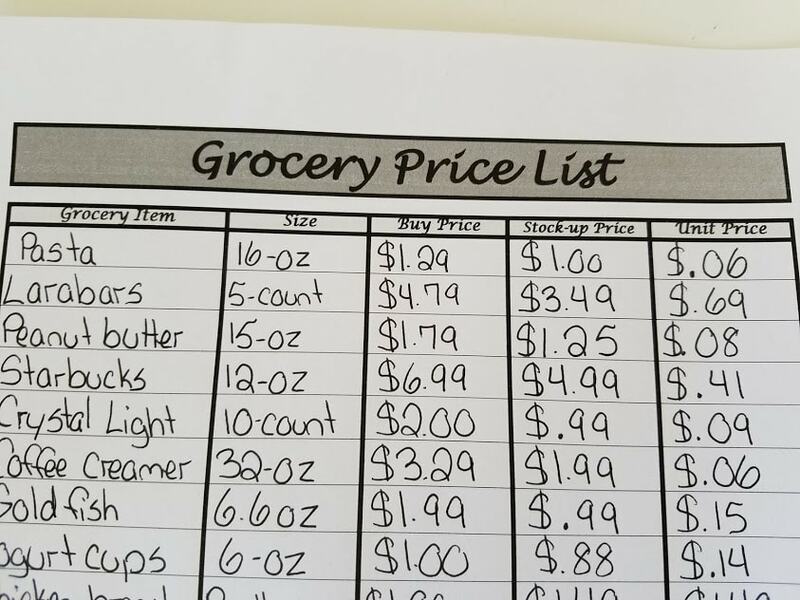 Do you use a method of keeping track of your grocery prices? Leave a comment and let us know! 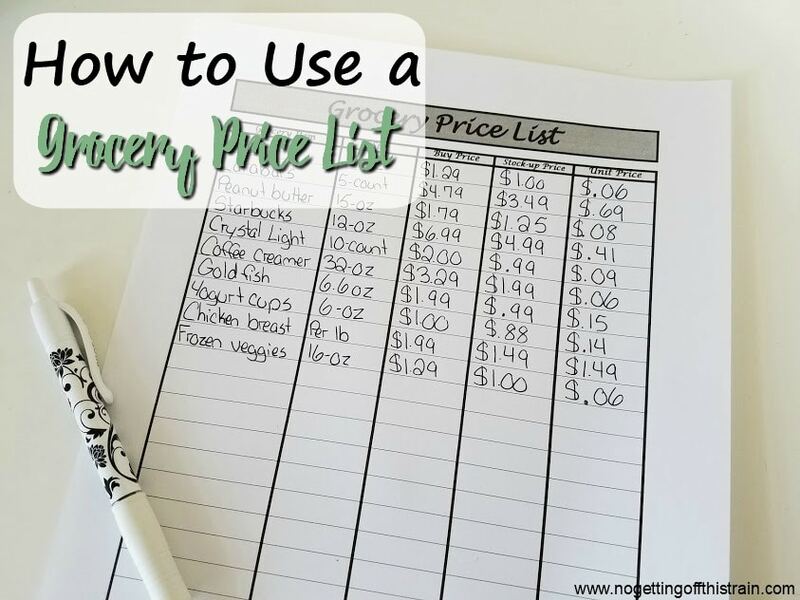 CLICK HERE TO DOWNLOAD YOUR GROCERY PRICE LIST SHEET! 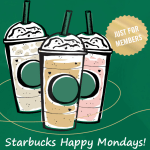 Starbucks: Half Price Frappuccinos TODAY!